If you are self-employed or have other fourth-quarter income that requires you to pay quarterly estimated taxes, get them postmarked by January 15, 2017, tax deadline. If you haven’t applied for an extension, e-file or postmark your individual tax returns by midnight April 17, 2017. If you are self-employed or have other first-quarter income that requires you to pay quarterly estimated taxes, get your Form 1040-ES postmarked by April 17, 2017, tax deadline. Last Day to make a 2016 IRA Contribution If you haven’t already funded your retirement account for 2016, do so by April 17, 2017. That’s the deadline for a contribution to a traditional IRA, deductible or not, and a Roth IRA. However, if you have a Keogh or SEP and you get a filing extension to October 16, 2017, you can wait until then to put 2016 money into those accounts. If you are self-employed or have other third-quarter income that requires you to pay quarterly estimated taxes, make sure your third quarter payment is postmarked by Sept. 15, 2017, tax deadline. 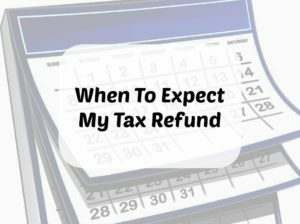 If you converted a traditional IRA to a Roth during 2016 and paid tax on the conversion with your 2016 return, October 16, 2017, is the deadline for recharacterizing (undoing) the conversion. Doing so could save you money if the IRA has lost money since the time of the original conversion.